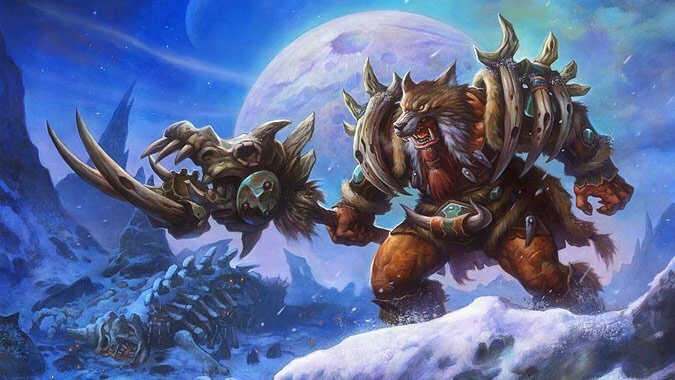 Locked and Loaded: What is happening to Hunters in Legion? They actually did it. Survival is going full Raptor Strike mode, and that’s not the only change coming to Hunters in Legion. Beast Mastery is staying as it is, ranged with a pet. Survival is turning into a melee DPS spec with a pet. Marksmanship is ranged with no pet (no Lone Wolf talent needed). It’s a gutsy move. Blizzard could have gradually introduced more spec differentiation (they took a few baby steps in Warlords), but instead they opted to rip off the band-aid. 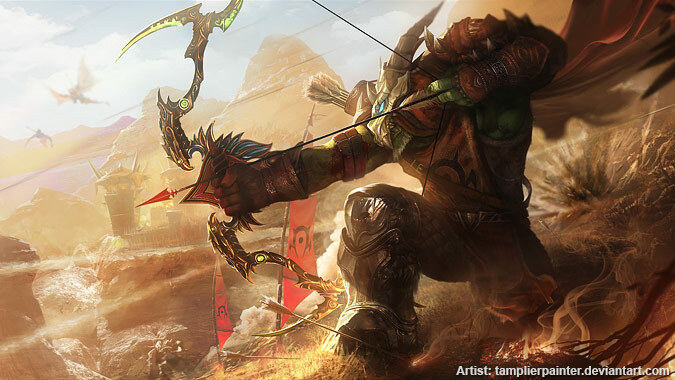 Beast Mastery is the last bastion of the traditional WoW hunter, using your bow or gun with a loyal companion at your side. If you want to continue playing this fantasy, you are going to be shoehorned into this spec. I expect that devout Beast Mastery players are relatively unfazed by this whole shakeup to the Hunter class. Crazy things are happening to the other specs, but at least the bread and butter is intact, right? I may play some Lone Wolf Marksmanship in raids today, but losing the pet has always been temporary which is what made it tolerable. I have trouble imagining my hunter without his pets, and I certainly prefer ranged DPS, so Beast Mastery is likely where I will remain for my main spec. For those die hard Marksmanship players who enjoy the company of their pets, I welcome you to the Beast Mastery club. Same to you Survival hunters who don’t like the idea of swinging a spear. 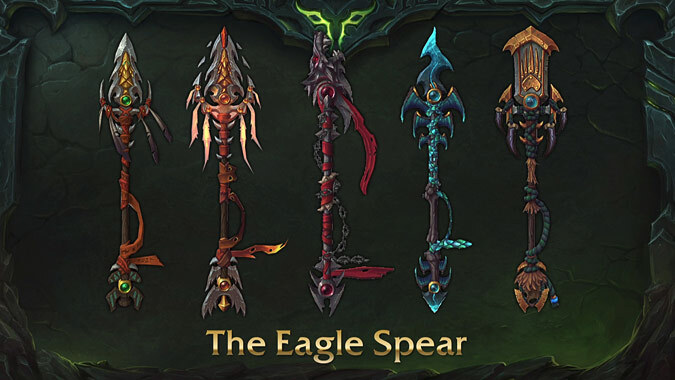 Prior to Legion’s announcement, there was much speculation that another class or spec would be using ranged weapons. Something for players who wanted to use a bow but didn’t want to play a pet class. Well, here you go. No Demon Hunter ranged spec needed. Lone Wolf turned out to be a stopgap, or maybe it was an experiment. Either way, it proved to be popular (I’m sure a lot of that popularity is because it did more DPS), so turning it into a full blown spec isn’t too surprising. For Lone Wolf fans, this is good news. Now this means all of the talents get to be re-designed to incorporate a pet-less play style. I’d also bet on some improved soloing tools. For fans of Marksmanship with a pet, there’s nothing much to say. You’re a casualty in this whole Hunter revamp. Say hello to Beast Mastery. As for the spec itself, I wouldn’t be surprised if some of the core abilities saw revision to better fit the marksman/ranger fantasy. You know what would be cool? Volley brought back as Marksmanship’s AoE. I think Multi-Shot and Beast Cleave is a good synergy for Beast Mastery, but Marksmanship could use something unique. Why not the old fan favorite? 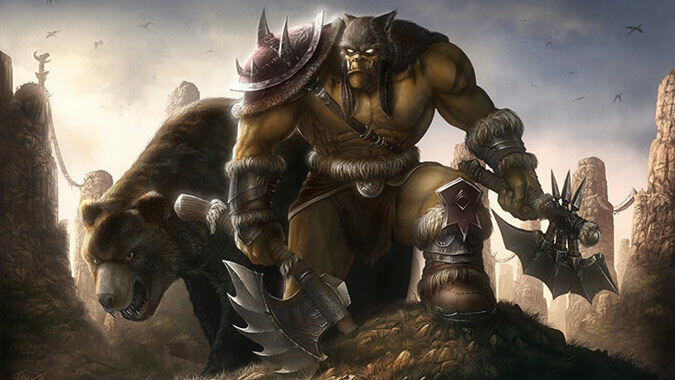 Rexxar spec is now a thing. Hey, we have hero classes, why not hero specializations? This goes back to Survival’s roots in classic WoW. Back then, its talent tree was all about improving your melee prowess. Hunters were a ranged/melee hybrid at the time, but going down the melee route was far from ideal. A handful of Hunters embraced it for roleplaying reasons. I’ve never really enjoyed playing melee in WoW, but have to admit I am somewhat intrigued by this idea of fighting beside my pet. There is a lot of potential to make Survival’s combat extremely visceral. Coordinated attacks with your pet, combos with your pet, the possibilities are endless. Come to think of it, it almost feels more like Beast Mastery than Beast Mastery does. There’s also potential to flesh out traps, maybe even integrate them into the DPS rotation. Survival should be getting a whole new arsenal of abilities. I think it’s safe to say Blizzard will bring back some of the old names like Raptor Strike and Wing Clip. The former could be a signature ability or Focus dump, and the latter could be the Concussive Shot replacement. Several existing talents will need special Survival versions. I’d be very interested in seeing the melee equivalent of Barrage. Oh, and how will Survival generate Focus? As cool as it all sounds, I think melee Survival will remain a curiosity for me. I can’t say for sure until I get to go hands on with it, but the chance of me going from ranged to melee is slim. I think Survival could attract more new people to the class than existing Hunters. In a totally unscientific poll I did on Twitter shortly after the announcement, only a few responding Hunters thought they would play the melee spec. I have seen some backlash in the Hunter community regarding the change to melee, but not as much as I originally expected. I think part of the reason is because of the Survival nerfs in patch 6.2. Far fewer Hunters are playing it now, and I believe that makes the whole prospect an easier sell. I’m not saying it was intentionally done by Blizzard, but they didn’t seem too happy with the current state of the spec. Many still enjoy Survival as it is, of course, but I have no words to make up for the imminent loss of your Explosive Shots and Black Arrows. Or the current name of this column, for that matter. I have to wonder what’s going to happen to Survival in the 7.0 pre-expansion patch? In Legion we’ll all be using our artifacts, so swapping to melee isn’t really an issue. However, when that 7.0 patch drops, existing Hunters may have to pick up melee weapons that are of similar item level to their ranged weapons. What sort of Hunter will you be? In terms of the fantasy and lore of the class, I think these changes are great. You won’t be able to simply call yourself a Hunter any more. You’ll be a Survival Hunter, a Marksmanship Hunter, or a Beast Mastery Hunter. I think this could be a good thing, but I do have concerns. If I start the expansion investing myself in the Beast Mastery story and artifact weapon, I don’t want to get to max level only to find out that I should have picked another spec to raid with because Beast Mastery does sub par DPS. 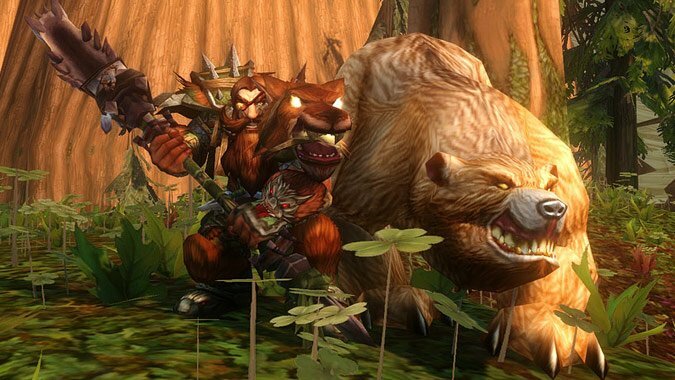 Warlords was a roller coaster of an expansion with hotfix buffs and nerfs every other week. I lost count of them. I’m hoping the separation of PVP and PVE talents and stats will alleviate this type of class balancing, because I’d truly hate to see numbers be the defining factor in my choice of Hunter spec. Especially not when they’re putting so much effort into revamping the class. I’m interested in hearing your initial thoughts on these changes. Do you love it? Hate it? Counting the days until you can tame a moose? Q4tLnL: Do you think Blizzard will make Exotic Pets a talent now*? It seems awkward to have it BM-only now that the three playstyles are differentiated. I think giving Exotic pets to both specs actually goes against differentiating the specs. Exotic pets are one of the few things that give one of the specs more identity (even if it’s mostly cosmetic). That being said, I wouldn’t be against the idea considering how different the specs will be without Exotic pets, as you said. 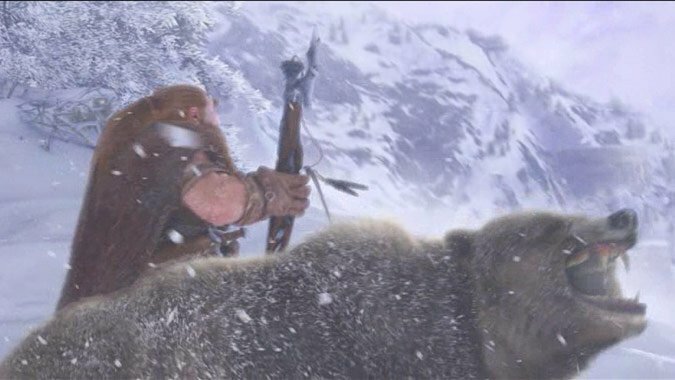 The announced changes for Legion make me want to roll a Troll Hunter. 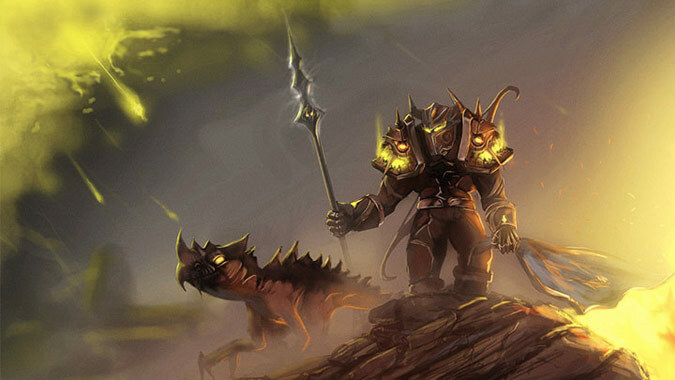 There’s just something so “right” about the idea of a spear-wielding Troll going into battle side-by-side with a raptor. Is there a crit cap for MM? There is a soft cap of 53%, but it’s not something you really have to worry about with current gear levels. It would have only become an issue with a theoretical third raid tier. If you’re getting close to that number (possible with lots of sockets), you may see more benefit from using Oglethorpe’s Missile Splitter for your scope.